Grell & Watson specializes in Intellectual Property Law – Patent, Trademark, Copyright, Business Contracts, & Licensing. We are a group of patent lawyers in Dallas specializing as Patent Attorney, Patent Lawyer, Patent Attorneys, Trademark Attorney, and Trademark lawyer. Grell & Watson IP Law, LLC (“GWIP”) is a unique intellectual property law firm concentrating in the areas of Patent Law, Trademark Law, Copyright Law, and related IP Matters. GWIP is a resource to, not only the Dallas metro area, but all of Texas. GWIP is one of a few firms that specializes in IP law that serves Dallas and cities throughout Texas. GWIP’s unique business model of reducing the overhead costs of traditional law firms while still maintaining all of the resources required of IP law firms, allows GWIP to serve Dallas and the rest of Texas in an extremely efficient manner that will be economically beneficial for the clients and the community. GWIP is well positioned to offer clients in Dallas and throughout Texas the full range of services required to draft, prosecute, and protect the rights involved in all aspects of intellectual property – patent, trademark, and copyright. I’m a Patent Lawyer and Entrepreneur who holds his own portfolio of patents and trademarks. I don’t just practice as a Patent Lawyer in Dallas I am an Inventor and Idea person as well. Do you have a new invention or idea? I am a patent attorney, licensed with the United States Patent and Trademark Office. A provisional application is a temporary patent filed in the United States Patent and Trademark Office (USPTO), that establishes an early filing date, gets you to patent spending, has less formal filing requirements, but does not mature into an issued patent unless the applicant files a regular non-provisional patent application within one year. A design patent is a patent that protects the visual characteristics embodied in or applied to an article. Since a design is manifested in appearance, the subject matter of a design patent application may relate to the configuration or shape of an article, to the surface ornamentation applied to an article, or to the combination of configuration and surface ornamentation. 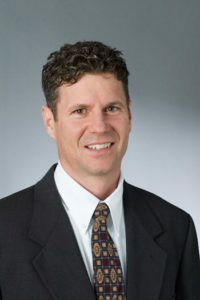 Mat is the founding partner of Grell & Watson and brings a unique background and 15 years of IP experience to the firm. Mat currently concentrates his practice in patent drafting and prosecution and business contract drafting and negotiation. Prior to founding the firm, Mat was a patent lawyer at Myers & Kaplan, an Intellectual Property boutique in Atlanta, GA. From 2000-2004, Mat was VP & General Counsel for Movaz Networks, Inc. His primary responsibilities included duties as a member of the executive team, including detailed experience with formation, raising $150M in capital, business contracts, intellectual property, HR/employment, corporate policy, M&A due diligence, dispute resolution, sales and business development, engineering & product management legal support, supply management and export compliance. From 1993 to 2000, Mat was a Patent Attorney and Senior Licensing Officer with the University of California Office of Technology Transfer & earlier at Michigan State University Office of Intellectual Property preparing provisional patents, marketing and licensing university technology. IP Experience – Mat’s patent prosecution experiences include telecommunication systems, optical switching, micro-electro mechanical systems (MEMS), optics and optical electronics, analog/digital circuits, power electronics, check processing, financial systems, insurance & plant inspection systems, desalination systems, waste water treatment apparatus, door and cabinet hinges, door closure and latch mechanisms, mechanical devices and systems, software, and business methods, among others. Mat is licensed to practice law in Georgia and Washington. Mat is also registered to practice before the U.S. Patent and Trademark Office. Mat is a member of the State Bars of Georgia and Washington and the American Bar Association.